As an interim management practitioner of 20 years standing at CEO level, Tony specialises in taking often complex organisations through transformational change; from turnaround to re-structuring, profitable growth and sale where appropriate. He applies his very broad experience of manufacturing and related service and logistics industries to deliver measurable high value added in each assignment. If you see a 10-fold Return on Investment as attractive, make the call. Clients include P.E. funds and publicly quoted companies. He is also a past Chairman (and a current director) of the Institute of Interim Management, a not for profit organisation that champions the needs of the interim profession on behalf of the individual interim. This is affirmed through a membership accreditation process and all members signing up to a professional code of conduct. 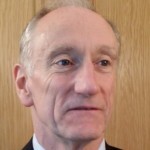 Further information can be found at http://www.iim.org.uk Tony was elected a Companion of the IIM in 2011. Specialties: Interim CEO, Turnaround specialist, interim MD, transformational change, advisory, mentoring, coaching. interim management, Restructuring, strategy design & implementation. Operating at interim CEO level and on an international and national basis. Situations may vary from corporate turnaround to managing rapid growth. Also taken a complex group into ‘soft landing’ administration. Team creation, building and performance development are crucial to a successful intervention.